Nearly 35% of US adults are believed to be obese and a similar problem exists in the UK, where obesity is spiraling out of control. In fact one report (published by Obesity in the UK in January 2014) indicates 50% of the UK population will probably be obese by the year 2050. That hardly paints a positive picture of the nation’s eating habits and the saddest thing of all is most people don’t want to be overweight. 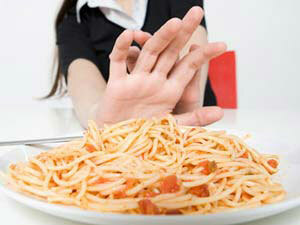 They just find it hard to say ‘no’ to an out of control appetite. People like to eat. That’s one of the biggest problems and although people may still be starving in poorer areas of the world, even in an unsure economy most of the world’s population enjoys an abundant supply of food. The supply may be abundant, but the human body has a limited calorie requirement. The average man only requires around 2,500 calories a day to maintain his weight, while the average woman requires just 2,000. It’s very easy to consume more calories than the body requires and the excess calories then contribute to body fat, but it’s also easy to get used to eating unnecessarily large helping of food and/or eating too often. Cutting back on calories by cutting down on food is much harder. 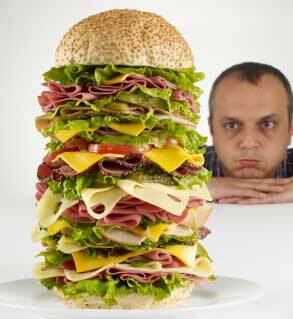 Appetite suppressants ease the weight management process by controlling the desire for food. Most quality appetite suppressants will do exactly what it says on the tin, but some blends are more powerful than others. The Prescription-only appetite suppressant Phentermine can produce such dramatic weight loss results it continues to be one of the most sought after appetite suppressants of our time, and it stands to reason doctors would not prescribe anything for their patients unless they were sure of the likely results. Phentermine is hard drug to get hold of, but commercially available appetite suppressants can also produce very credible results. Many ingredients have appetite suppressing qualities—even the caffeine provided by a good strong cup of coffee can help dull hunger pangs—but some ingredients (or combinations of ingredients) work better than others and not all ingredients suppress the appetite in the same way. Phentermine suppresses the appetite by triggering the release of hormones that put the body into a state of fight or flight. The fight of flight condition is a natural part of the human makeup. Whenever danger is evident the mind becomes more focused—ready to run or fight for survival—and less important needs such as hunger are forgotten. In a genuine fight or flight situation the hormones are released due to fear. 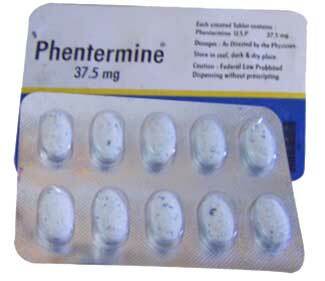 Phentermine releases the same hormones without the need for a life-threatening situation—it tricks the body. Certain other ingredients can trick the body in a similar manner. Still other ingredients work by tricking the body into releasing the ‘feel good’ hormone serotonin. It works in a slightly different way, but the results are the same and serotonin is also an effective mood enhancer that can help relieve the dieting blues. Appetite suppression is not reliant on hormones alone though. Some appetite suppressants work by creating a feeling of fullness in the stomach. The plant-based ingredient konjac is a common inclusion in such formulations. 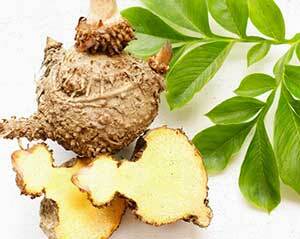 Konjac fibers have the ability to absorb large quantities of moisture. For this reason appetite suppressants that contain the ingredient are always taken with plenty of water. Once inside the stomach the fibers expand, filling up the stomach, and removing the desire to eat. The important thing is not how appetite suppression is achieved though. All that matters is the appetite is controlled. This ensures the user will eat less food and reduce their daily calorie intake to prevent further weight gains, and if the calorie intake falls low enough the body will be forced to start burning off existing body fat in order to obtain the energy it needs. The chances of this happening can be greatly improved by anyone who increases their calorie needs by taking regular exercise. The use of fat burning formulations can still further enhance the results.